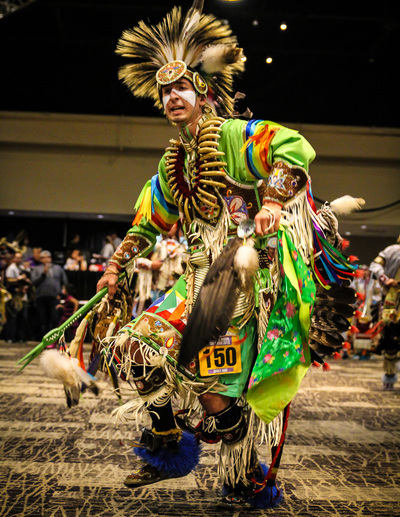 Native American dancer Dylan Jennings, of the Bad River Ojibwe Nation. 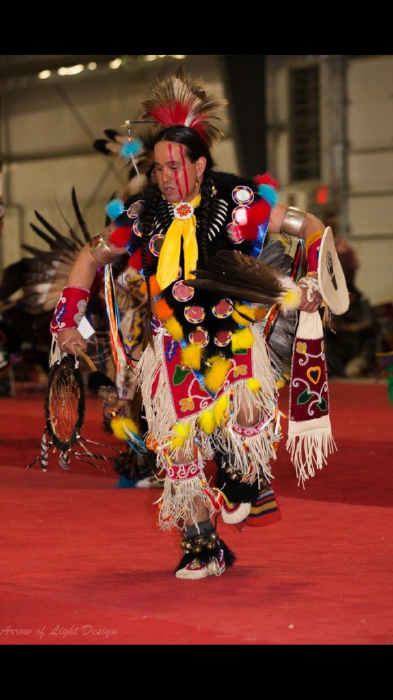 Native American dancer Mike Demain of the Lac Courte Oreilles Ojibwe Nation. The event also includes Northern-style singing by the Bad River Singers from the Bad River and Lac Courte Oreilles Ojibwe Nations. The Ojibwe are among the tribal nations whose homelands included what is now known as Illinois. The artists will explain the importance of regalia worn in the dances, including aspects of the regalia’s creation, meaning and use. They also will help guests understand how songs and dances hold significance for tribal communities. Audience members are invited to participate in round and two-step dances. Spurlock galleries will be open before and during the program for visitors to view objects in the North American gallery, including Grass Dance regalia. To learn more about Native American House events in November, visit https://www.facebook.com/TheNativeAmericanHouse/. Spurlock Museum is located at 600 S. Gregory St., Urbana. Parking is available in lot D-22. To request accessibility accommodations, call 217-333-2360.